Plank Dock's Bug Always Log Out when to performing shutdown in Ubuntu - To have or not to have a dock in Linux is dependent on individual preferences. 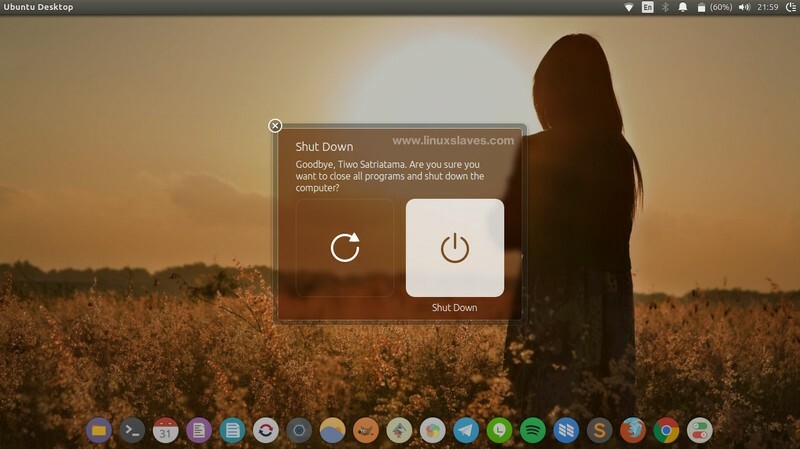 Some Linux users prefer to customize the desktop by install dock. There're many docks that are available for you such as Plank and Docky. 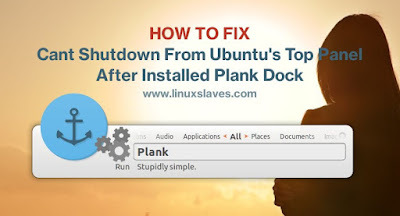 When you prefer to Plank Dock, you might face shutdown problems. And this what happens when you installed Plank Dock and put it into startup applications on your Ubuntu. This issue also shows if you have applied Macbuntu: Mac OS X Yosemite Theme for Ubuntu 16.04 LTS, you will also face this error. Every time I tried to shutdown from top panel in order to turn off my computer, it returned to the login screen again (Log Out). It required me to run shutdown command directly from the terminal or run shutdown from Synapse Launcher. Read Install Synapse Launcher. Step 1 - First, open Startapp application from the Ubuntu's dash. Step 2 - If you have already added Plank dock to the startup item, you just need to edit the command columns with sh -c "sleep 10 && plank". Step 3 - What's next? Reboot your computer and test the new command! And, viola, the issue has been gone! The shutdown menu now works properly. If you have any problems with your Linux desktop, some post in this blog might help you to solve your Linux Desktop. You can read it all in Linuxslaves Solutions Page. That's all I can write about a simple guide to fixing shutdown won't works from top panel in Ubuntu after installed plank. Hope it was helpful and solved the issue. Thanks for visiting Linuxslaves!.